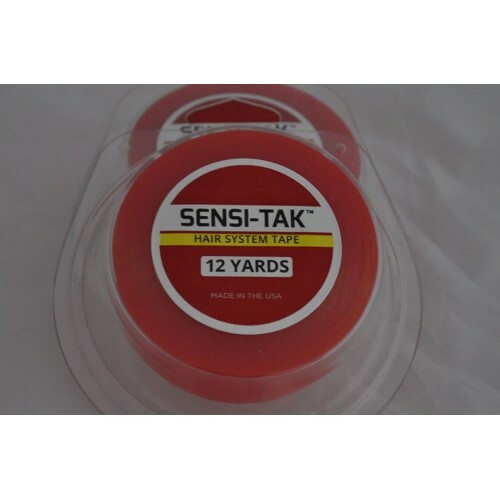 This gentle double sided toupe tape is ideal for all tape areas. It is non toxic, hypo-allergenic, leaving no residue and is fully stretchable, but this superior tape is stronger with longer lasting hold. Note: While the rolled tape appears red in colour, the tape has only a slight pink tinge.